Under Extended License you are granted a non-exclusive permission to use the templates from the bundle on up to 5 domains. Enhance your Elementor bundle with rich variety of modules, which will be extremely useful in your web building. 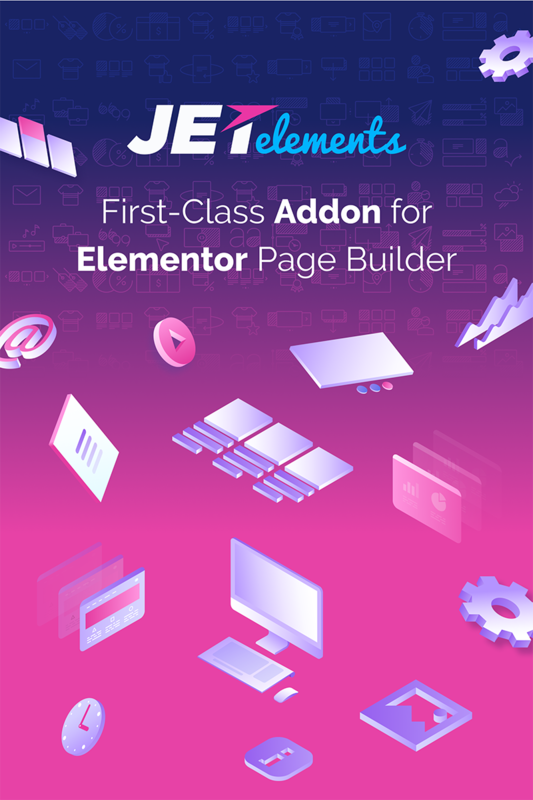 Find loads of powerful modules in JetElements addon! Specially created to be embedded to Elementor functionality and provide you with versatile decisions and stylish elements. 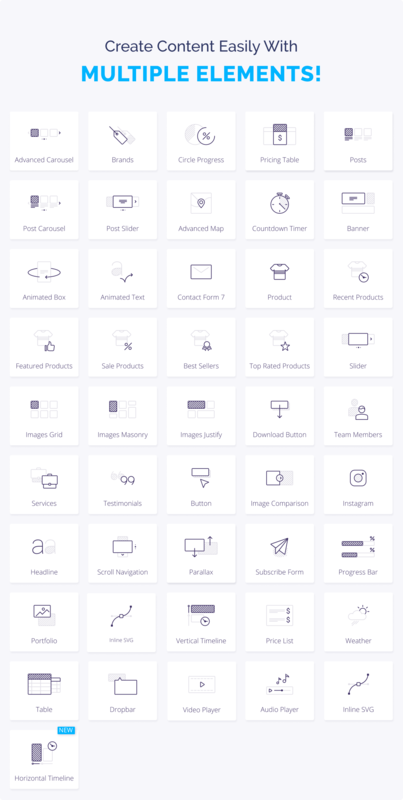 Find tons of useful modules, containing great numerous style options, functional settings and absolutely customizable elements. You are able to enhance your content with animation effects, gradient backgrounds and custom fonts and much more! JetElements has everything needed to start your online store. You able to create your shop anytime, as now you'll have a great kit of needed elements. The plugin totally supports RTL, so you are free to change the text direction from left-to-right and vice versa. RTL option is easy to use for any language! 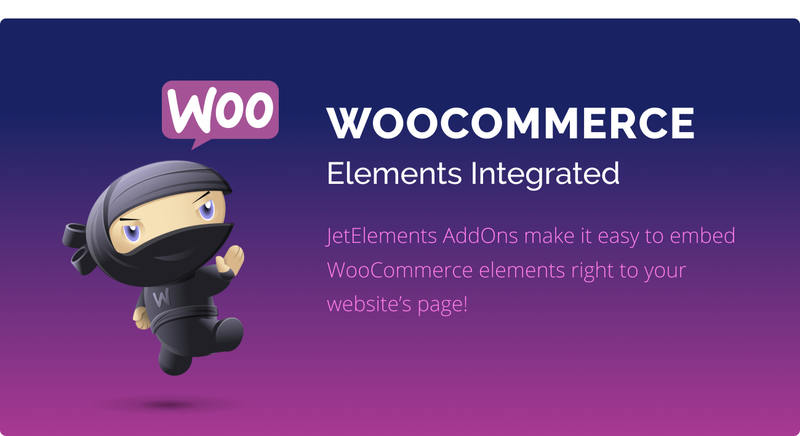 JetElements works great with WPML plugin, and will give you the opportunity to use it in your native language with no boundaries! With amazing Contact Form 7 module, which JetElements contains, allows to add your pre-made contact forms and embed them to your website. 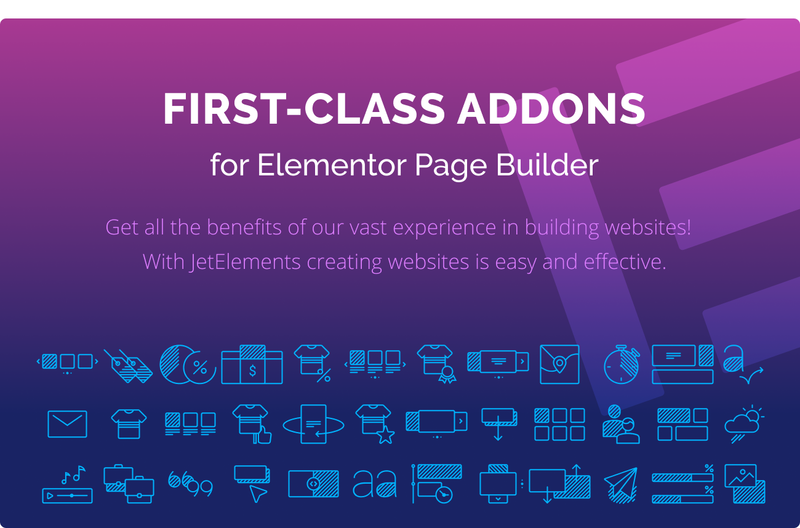 JetElements plugin has powerful option - adding pre-designed home page templates right to your website effortlessly! Enjoy the simplicity of adding pre-made blocks for Elementor widgets and use them in your work without any boundaries! 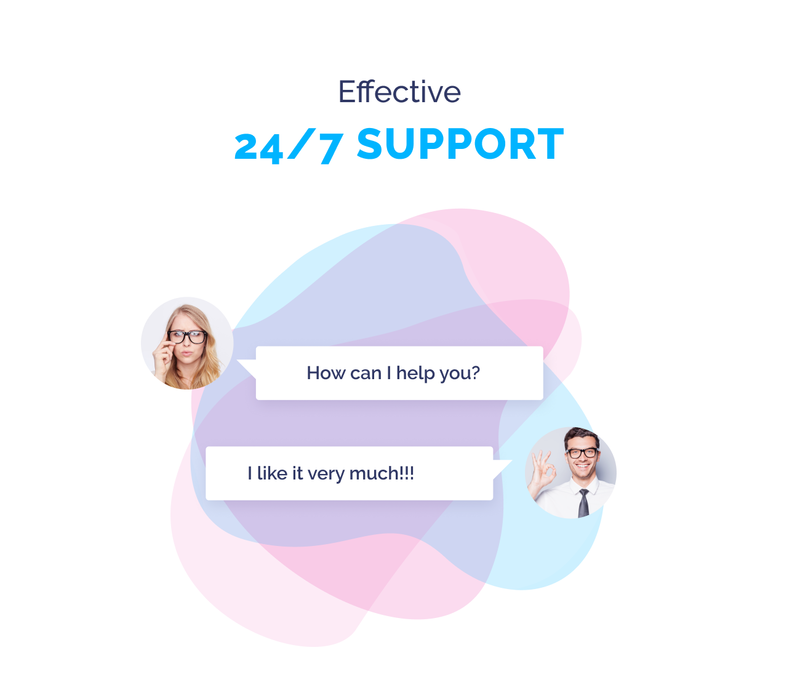 Professional support team is ready to answer all your questions and help to resolve any issue 24/7! Helpful and reliable, we are here to make it easy to create engaging content and entire website. 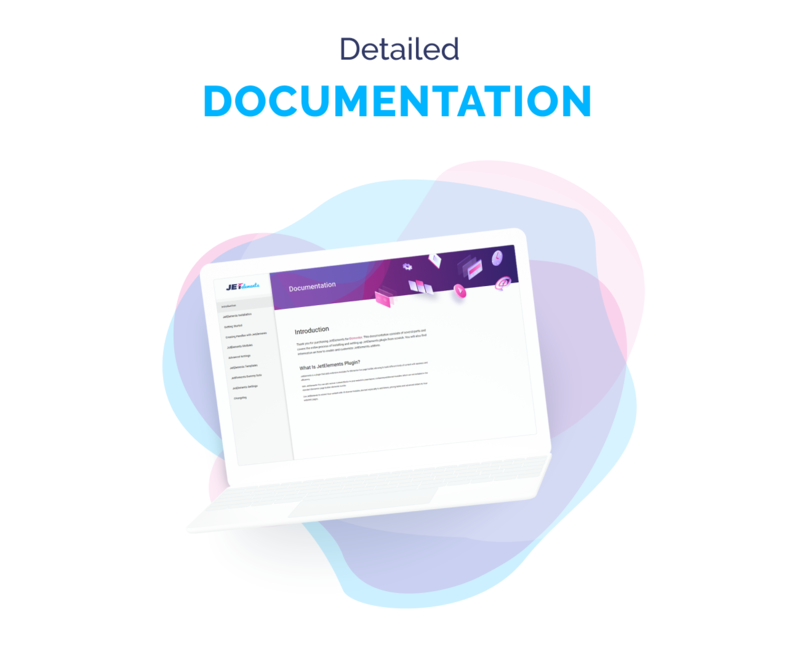 A step-by-step installation instruction, detailed information about JetElements settings, and even more information is in one unified documentation. We've taken care of providing all necessary and useful information, so everyone could use the plugin effortlessly! Lots of Elements Coming Soon! We constantly work on new elements to provide users with rich functionality. Follow up on new elements and updates from our team! Fantastic, easy to use, better than of the elementor widget. 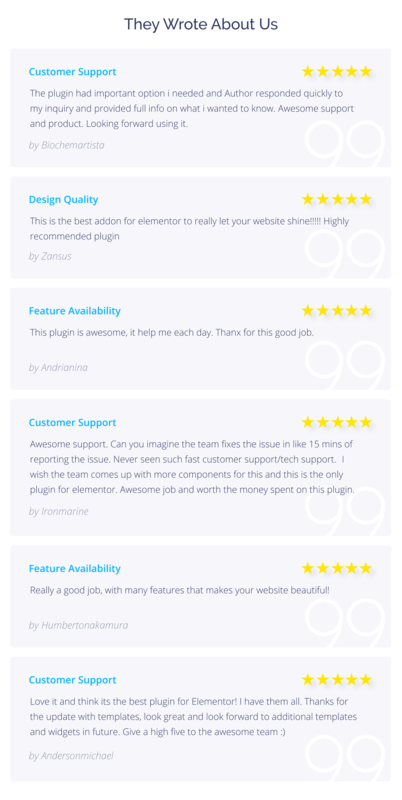 Interesting plugin that gives a lot of options to enhance websites it powers. Just bought these and haven&#039;t used all the widgets, but the ones I have used are great. A very great tool to use. Easy and friendly would really recommend to anyone! the plugin it&#039;s awesome, i don&#039;t have any conflicts with the theme or the elementor. This plugin was supper easy to hookup. It also gives you all these cool features. I really am happy with it. - Fixed: Alt attribute of image in the Team Member Widget.